Today OYA DC went to the Ethiopian Ambassador’s residence (Girma Birru). Two of us (Kiya and Eden) were let into the compund by security and a lady let them in the house. 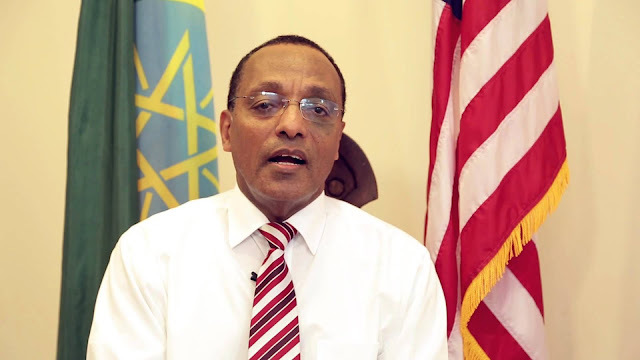 The two of them called out Girma Birru and began asking him how he could call himself Oromo and demanding that he hold himself accountable. They were then attacked by Girma Birru and another woman. 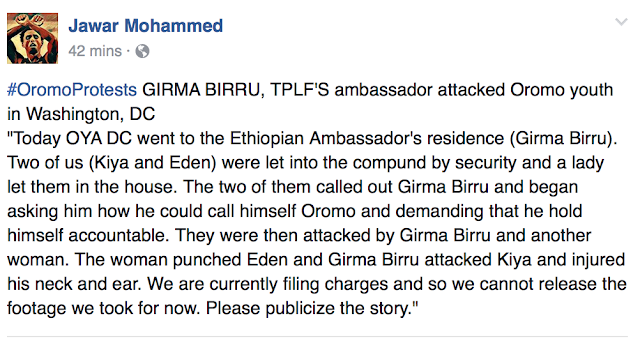 The woman punched Eden and Girma Birru attacked Kiya and injured his neck and ear. We are currently filing charges and so we cannot release the footage we took for now. Please publicize the story.